I believe that all true passion is rooted in being created in the image of God. A passion from God would never contradict Biblical teaching, must have the support and approval of your husband and family and is a part of fulfilling your personal mission statement! In our 34-year ministry, my number one mission has been to support my husband, David, as a pastor’s wife, whatever that entailed. Each church assignment has led to different ministry opportunities for my unique gifts according to the needs of that church and community. This of course was in addition to a teaching career and raising our four daughters. However, in addition to these important roles in my life, I also believe it is very important for me to pursue my personal passions. As God created me as an individual to have a personal relationship with Him, I believe that my unique passions have also enriched my marriage and ministries. 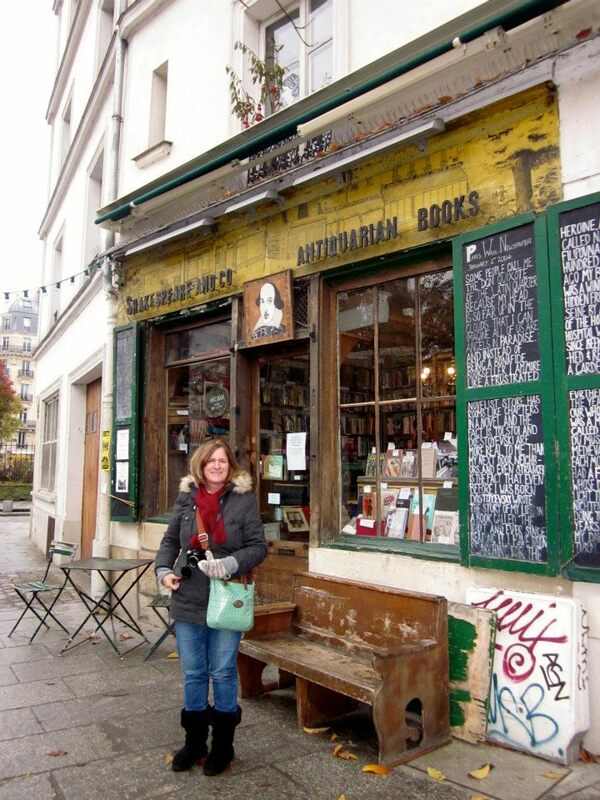 I began to pursue my French quest passion in 2005, after a trip to Paris with my daughters, Kalie and Lorin. Before the trip, I began to learn some common French words and phrases and consequently fell in love with this language and culture. When I returned home, I set out to teach myself the French language using a traditional French grammar text from 1942. I really felt a strong connection to French language and culture and it was hard to explain at first. In fact, David kept thinking it would be a passing phase. However, right before my study abroad internship, I learned that my passion could be innate as my birth mother’s family was from the northern Alsatian region of France, around Strasbourg. After learning French independently, I completed a master’s degree in Applied French which included an incredible Internship in Paris. Over the past 12 years, I have spent many hours and Starbucks study dates with David reading about French history, Impressionist art, literature, and enjoy posting my reflections on my blog. Most recently I have been trying my hand at French cooking. God has also used my passion to acquire the French language through many ministry opportunities: sharing the Gospel with my neighbors and classmates in Paris and El Paso, teaching classes for Howard Payne University, speaking opportunities to women’s groups and a precious mentorship with a fellow Alsatian. My passion for all things French has also brought me great personal rest and renewal in the midst of the challenges of being a pastor’s wife. I will close with this good word from Oswald Chambers: “Always beware of giving over to mere dreaming when once God has spoken. Leave Him to be the source of all your dreams and joys and delights, and go out and obey what He has said” (36). Robyn Lowrie and her husband, David, are soon to begin their next ministry at First Baptist Church of Decatur. The Lowries just spent six years with David serving as senior pastor at First Baptist Church El Paso. She served in the ministry alongside her husband since 1982 and is also a teacher, having educated students from elementary school to college throughout her career. They are the proud parents of four daughters, Kalie, Lorin, Jamie and Madison; two sons-in-law, Philip and Jordan, and a precious grandson, George Walker Scott. When she isn't serving in the church, visiting her family, or teaching, Robyn is an avid French scholar and loves to spend time strolling the streets of Paris, France.